If you’re interested in MoD’s AgHack (there’s still time to reserve your free tickets here! ), you’ll know that developing creative technological solutions to agricultural challenges requires some serious out-of-the-box thinking. Sometimes, however, such a solution comes, well, in a box. 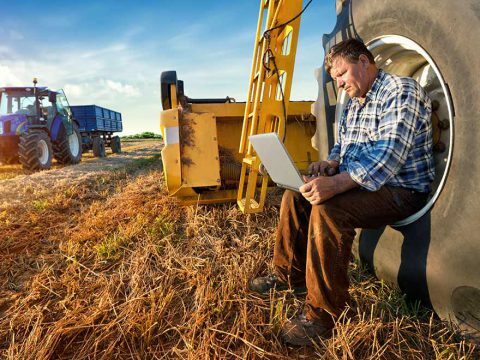 One of the biggest issues facing agriculture internationally is the increasing lack of space and resources needed to grow enough food to support our rising food demand. 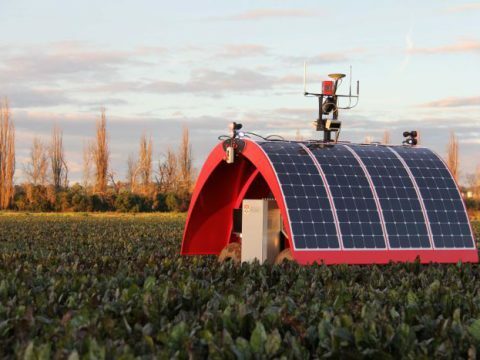 Farming in a box is a concept that aims to help solve these issues. Contained within a 40ft-shipping container, these farms can fit anywhere, making them an ideal solution for individuals and communities in hostile or urban environments to produce fresh, healthy food. Grow Pod Solutions provides a complete vertical farming system, contained entirely within a shipping container. For urban environments where every centimetre counts, Grow Pods create farms that can service an entire community in only 50 square metres. Using shipping containers even means that when it is time to expand, containers can be stacked on top of each other! Within these boxes, you can grow lettuce, herbs, and greens in any climate and any location. 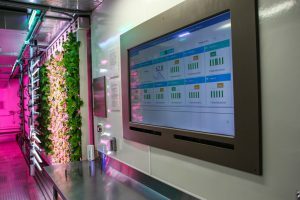 The hydroponic system replaces traditional soil with a circulating system of water to get essential nutrition to plants, reducing water consumption by up to 90%! 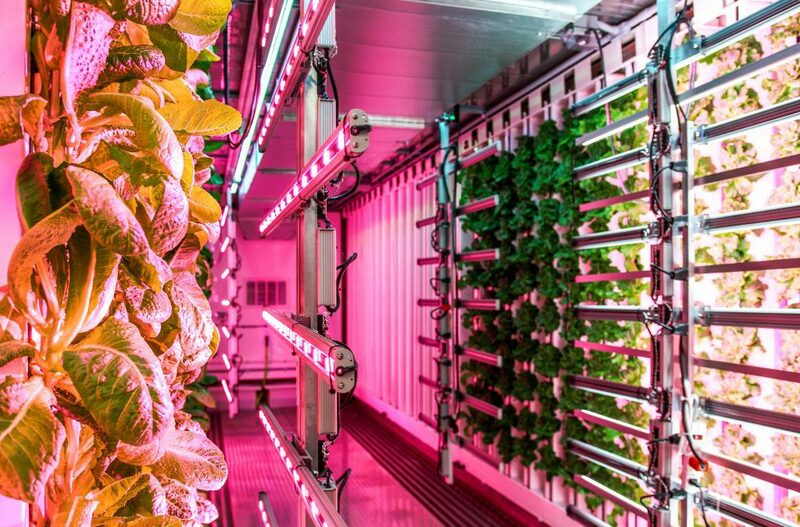 Best of all, the fully contained “Plug in and go” system means that you can get 8 growing cycles and produce 2-4 tons of organic produce a year, no matter the weather. Because the crops are so well protected within this container, up to 94% of crops are of marketable quality. 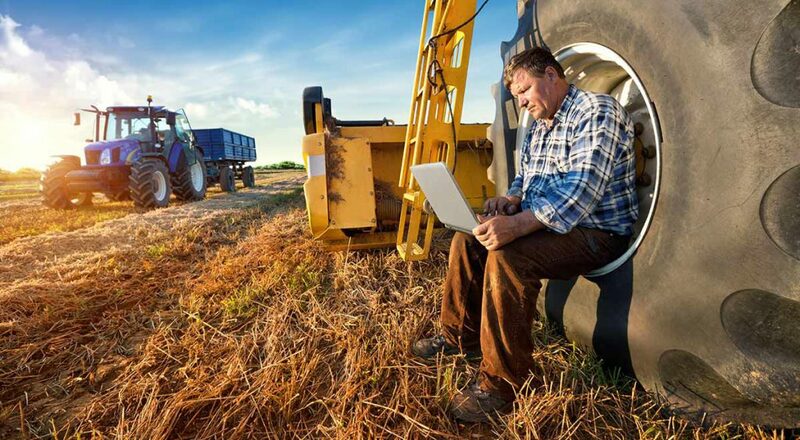 None of this would be possible without extensive creative AgTech thinking, but amazingly the technological innovation doesn’t stop at fitting a big farm into a small box. 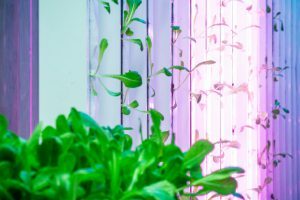 Within each container, red and blue LED lighting is used to optimise photosynthesis by mimicking sunlight, with automatic programming to define day and night. The box also contains in-farm cameras to monitor plants in real-time, and autonomous dosing of water, nutrients and pH, which can all be controlled from your phone with a simple app. 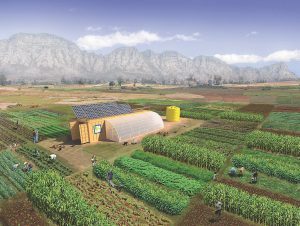 Farm From A Box takes this concept one step further, providing a way for entire communities to have access to fresh, organic food in hostile farming environments. 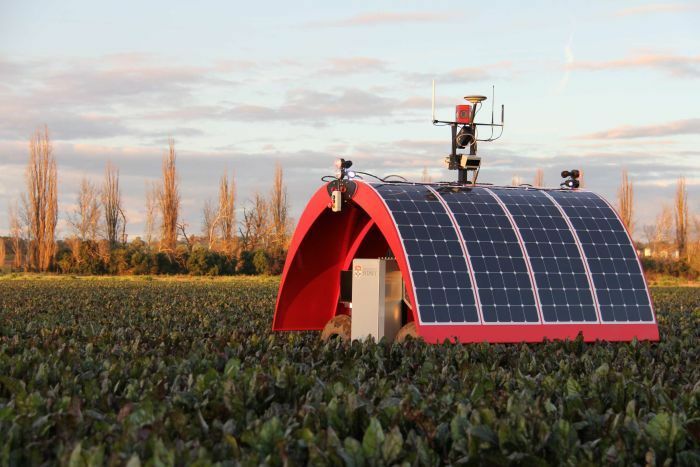 Rather than being grown within one shipping container, this self-proclaimed “Swiss Army Knife of sustainable farming” contains all the smart farm tech and tools needed to grow food entirely off the grid, anywhere around the world. 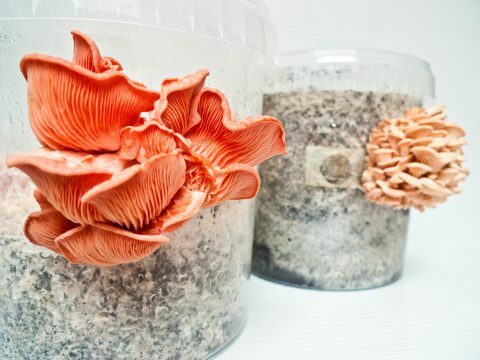 Farm From A Box contains green technology and innovative sustainable farming techniques to include off-grid weather systems, sensor technology, geo-spatial mapping, and adaptive water irrigation systems to provide accurate information to improve agricultural production. From this box alone, a community can feed 150 people a year on a 2 acre farm! Get Involved in AgTech at AgHack! Ministry of Data’s AgHack Launch Party is fast approaching (there’s still time to reserve your free tickets here! ), gearing up to give potential participants the opportunity to create a solution to some of agriculture’s most poignant challenges. AgHack is your chance to join the ranks of AgTech innovators, like those who are driving the field of Farms In A Box.